The railway was conceived and promoted as a means of transforming the country, following hard on Newfoundland's rejection of Confederation with Canada in 1869. It was truism of that time, the era of the building of the great North American trans-continentals, that a railway was synonymous with both progress and prosperity. But advocates of the railway were not limited to those pursuing a "North American" agenda. Many others argued that the development of land-based resources (and in particular agriculture) was necessary. Only then could Newfoundland interior be "opened-up" as the imperial vision required, and its unexplored but surely limitless potential realized. In the 1870s it was also accepted as inevitable that building a railway would be part-and-parcel of a boom in mining, an assumption fueled by the richness of recently-discovered coastal copper deposits and the progress of the Newfoundland Geological Survey (established 1864). Surely the discovery of commercial coal deposits was imminent and would that not both require and fuel a railway? The railway did indeed transform Newfoundland's economy and society, although not always along the lines which had been anticipated. On the mineral front, the copper boom played out largely without resorting to the railway, as did iron mining on Bell Island. Coal was never realized in commercial quantity. 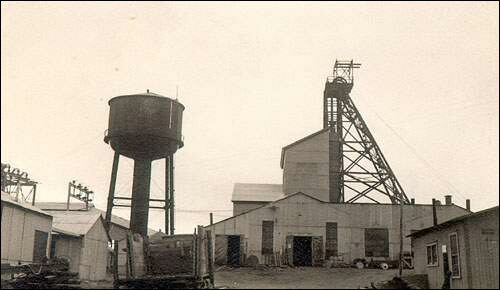 Only the Buchans mine, beginning in the 1920s, was a development dependent on a rail connection. The Buchans mine was dependent on the railway. Courtesy of the Department of Mines and Energy, St. John's, NF. Increase in farming was similarly modest, although the railway and towns in the interior such as Grand Falls were supplied by new agricultural districts in the Codroy and Humber valleys. Still, most of Newfoundland continued to be supplied by kitchen gardens or with produce from the Maritimes, by sea. It was lumbering and pulp and paper that benefited the most from the railway. Access to the interior and the timber rights assemblies of the Reid lands drove the development of Grand Falls and Corner Brook, the most significant new industrial developments of the early 20th century. Train carrying pulpwood for the Corner Brook Mill. The locomotive is #1005, one of the 2-8-2 "Mikado" types, built in the late 1930s. And of course the railway itself was a significant employer, both in the construction phase and after. The railway provided good jobs to good people and the emerging fraternity of railway families had a social impact which had been largely unanticipated. Newfoundland was and remains a place where family identification with village and bay is an important component of identity and so the railway families became virtually an ethnic group unto their own. It was the railwaymen who opened up and largely peopled a "new region" of Newfoundland, the towns in the central interior from Whitbourne to Deer Lake. The line and the railway employees both played an important role in securing the west coast (part of the French Shore until 1904) and in opening it up to economic development. Certainly one lasting impact was the manner in which the family of Scots-Canadian contractor Robert G. Reid themselves "became Newfoundlanders," the aristocracy of the railway. R.G. 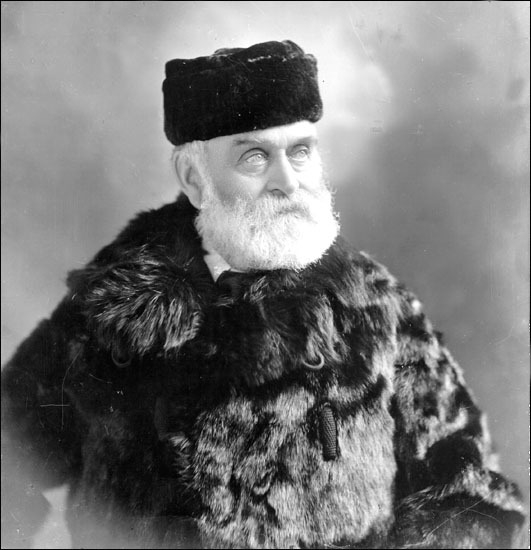 Reid's sons committed the family's fortunes to Newfoundland. They were among the first promoters of Newfoundland as a tourist destination. Their promotion of sporting tourism resulted in the island and its interior becoming better known to both residents and visitors. Increased mobility for Newfoundlanders resulted from the main line, branch lines and coastal steamer service. A link to mainland North America also made it easier for Newfoundlanders to leave, and of course many who did so never returned. One who did return was future Premier Joseph R. Smallwood, who crossed the island by train for the first time as a young journalist heading for New York. As with so many others, the journey left the young Smallwood with a lasting vision of Newfoundland's resource potential - and a determination to return. From the first the railway held Newfoundland's politicians in thrall. The dominant politician of the late 19th century, William Whiteway, rose to power determined that his political legacy would be the construction of a railway across the island. Time and again faction and party coalesced around the railway question, including the parties of the two dominant political figures of the early 20th century, Robert Bond and Edward P. Morris. Whiteway was the leader of the governments which passed the 1881, 1890 and 1893 railway contracts. The railway was not only a force for unifying Newfoundland and a symbol of national pride, it was also a link to Canada and a source of North American attitudes and ideals. Inevitably, then, the "railway party" and railway management were also seen as a source of confederate sympathies. With their Canadian connections the Reids were always suspect. Many political supporters of the railway were at one time or another also either supporters of Confederation or at least inclined to accept its inevitability. 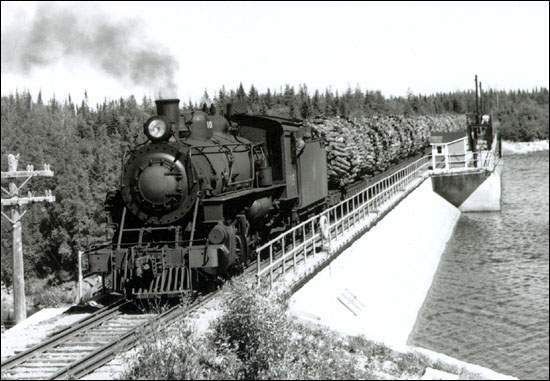 There is an argument to be made that the railway contributed to Newfoundland's undoing as a country, that the costs of constructing, maintaining and operating a railway across a largely unpeopled country were, as opponents had warned in the 1880s, too much for such a small country. Such was one of the conclusions of the Amulree Commission. Appointed to investigate Newfoundland's prospects in 1933 when the country was unable to service its public debt, the Commission recommended the suspension of responsible government. (It has been estimated that fully 35% of that debt was traceable to railway construction and operations.) When Newfoundland was faced with a choice of future forms of government in 1948, the Railway was one of few local interests committed to North America, and with an identifiable stake in union with Canada. After Confederation the railway endured as an important symbol, a lasting tie to Newfoundland's former independence, and having been "guaranteed" by the Terms of Union, a measure of Canada's commitment to our history. As such, from the 1960s the decline of the railway was an enduring political issue. That the provincial government agreed to its abandonment in 1988 was seen by many as the curtain ringing down on the "new nationalism" of the 1980s.